Statistically, one in three Australians will experience cancer in their lifetime (ABS). Almost all of these patients will undergo surgery and/or radiotherapy and/or chemotherapy as part of their treatment protocol. Approximately 80% of cancer patients seek out a Complementary Therapist in order to receive allied support during or after this treatment process. Hyperthermia is a method used to treat tumours by increasing the temperature of the cells in a carefully controlled environment. The treatment can be applied in combination with other cancer treatments including radiotherapy and chemotherapy. Hyperthermia is the most effective radio-sensitiser of tumour tissue in conjunction with radiotherapy. Multiple trials have specifically compared hyperthermia + radiotherapy VS radiotherapy alone and found the combination treatment to be statistically superior with reference to success rate. Similar results are shown with the combination of hyperthermia + chemotherapy: patients are able to enhance the effectiveness and outcomes with the combination. 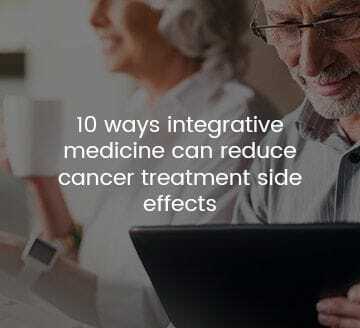 MIOG provides a unique service: the full integration of hyperthermia with conventional medicines and Evidence Based Complementary Medicine (EBCM) in order to promote the most efficacious outcome for oncology patients.